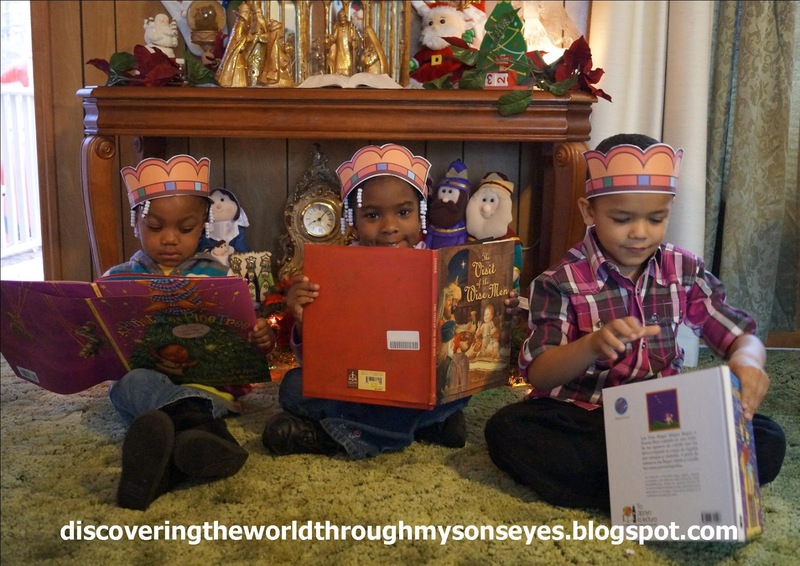 Today, in many Latin American homes across the world they are celebrating “Los Tres Reyes Magos” (Three Kings Day), and I’m super excited to have my blog post on how we celebrate Los Tres Reyes Magos here in the U.S.A. featured on Multicultural Familia. A special thanks to Chantilly from Multicultural Familia, and Feliz Día de Reyes! 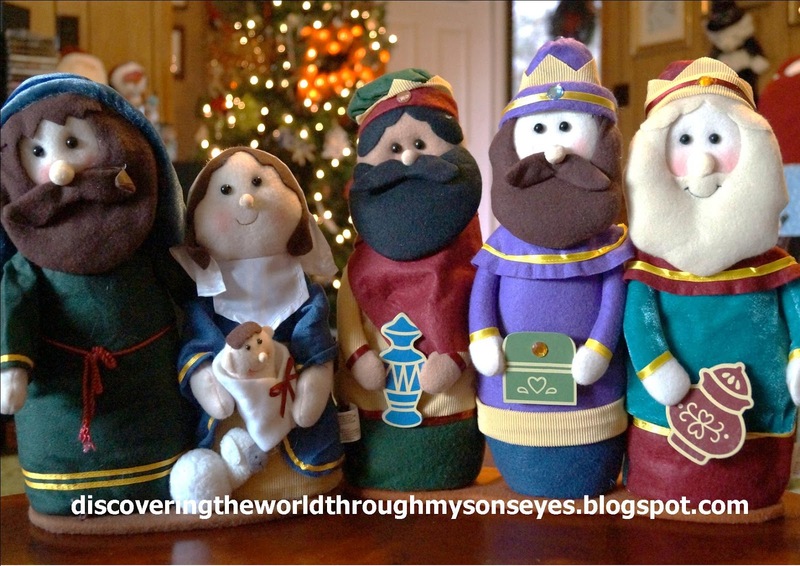 Joseph, Mary and Baby Jesus; and Three Kings display. As a multicultural family we celebrate The Epiphany of the Three Kings or how we call it in Puerto Rico: Día de Reyes. This year, I wanted to share with little one’s friends our Latino culture, and customs. What better way than to have a cultural play date with story time and crafts? 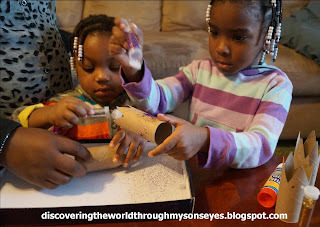 For the play date we had books, and craft materials: Markers, crayons, stickers, glue, and glitter! Empty toilet paper rolls cut off like crowns (I got the idea here), and empty shoe boxes to decorate. 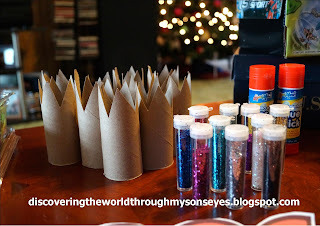 Empty toilet paper rolls cut up as crowns for the children to decorate with glitter. Empty shoe boxes, and brown paper for them to wrap. 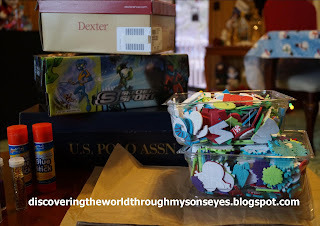 Crayons, markers, and stickers to decorate the box. I also had these cute little king crowns that I found on Nick Jr. last year, that I had saved. (They have a different one now that you can actually color.) 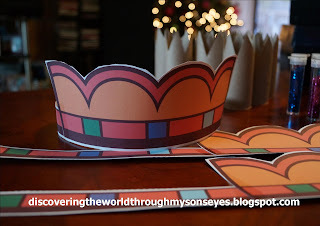 Once the children arrived I had them put on their crowns to get into the spirit of our Three Kings Day play date! King’s hat to wear during the story time. Oh so excited to start story time! The Twelve Days of Christmas begins on December 25th and goes on until the 12th night which falls on the eve of January 5, followed by the Feast of the Epiphany (Three Kings Day). 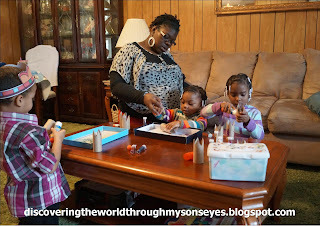 To begin our play date we had story time. I read to them A Piñata in a Pine Tree: Latino Twelve Days of Christmas by Pat Mora. It’s a beautifully illustrated book, fun and with catchy Spanish words that we sang along to the “12 Days of Christmas” tune! Story time was followed by the The Visit of the Wise Men by Martha Jander, and to incorporate our culture in the play date I read to them Los Tres Reyes (a caballo). 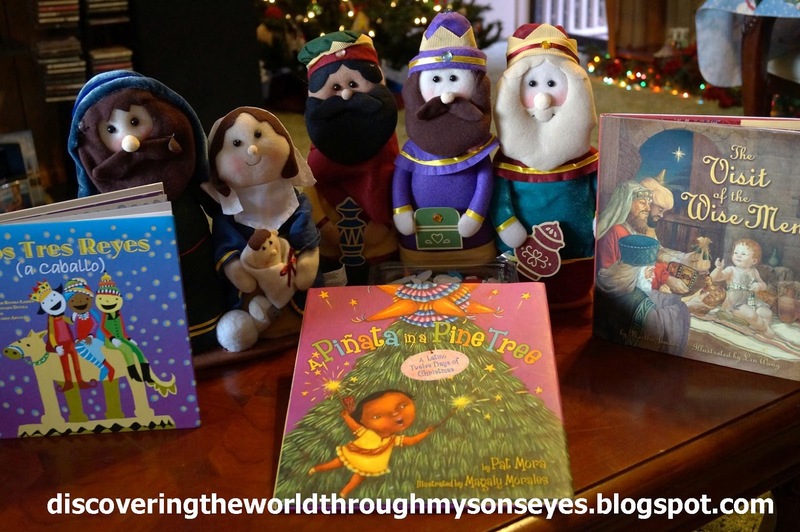 Story time books: Los Tres Reyes, A Piñata in a Pine Tree, and The Visit of the Three Wise Men. As I read to them I asked about who was born on Christmas day? Why were the three wise men following the star? 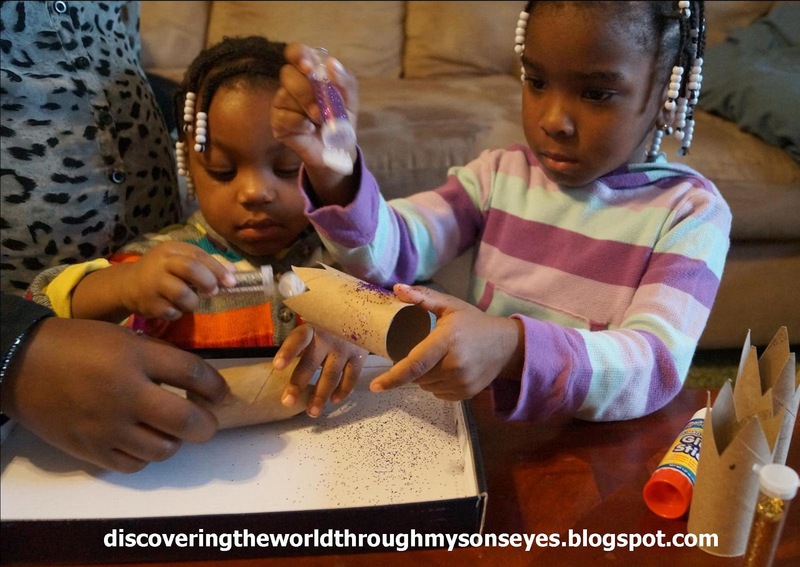 I also shared with them our Three Kings Day tradition of putting grass in a shoe box for the king’s camels. For more information on this tradition you can read here. 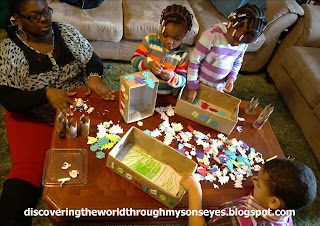 Following story time, we had crafts! Glitter, glitter everywhere! They had glue, and glitter to decorate the crowns. Glitter was all over the place. A wonderful mommy helping her girls decorate the tp roll crown. They even colored the inside of the shoe boxes. What fun traditions do you still have with your family? Please share, like and/or comment. ¡Gracias! When our baby was six months old he visited Puerto Rico for the first time. We went during the festivities of the Three Kings also known as the Epiphany celebrated on January 6. The Epiphany is the celebration of the three wise men who followed the star to Bethlehem to offer baby Jesus gifts of gold, myrrh, and frankincense 12 days after he was born. 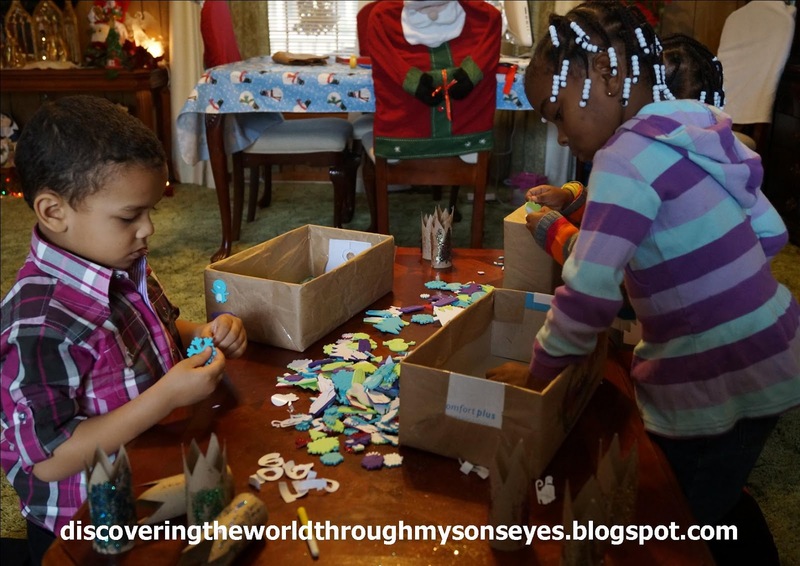 The tradition is to have the children pick grass the night before and place it in a shoe box with some water for the camels, and place it by their bed on the eve of Three Kings Day in hopes of getting a gift or treats. The grass is for the three kings’ camels who have been traveling from afar. Puerto Rico celebrates a very long holiday starting on Thanksgiving and going on through Three Kings Day. Three Kings Day is also a holiday. Most of the stores, and government offices are closed, and kids are out of school. 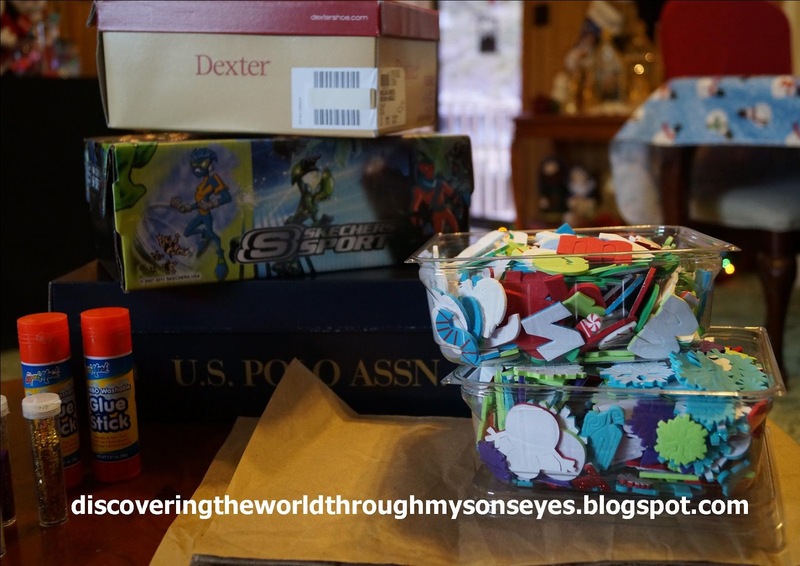 There are celebrations and festivals through out the island, and in every home kids wake up to the excitement of finding their gifts by the empty shoe boxes. 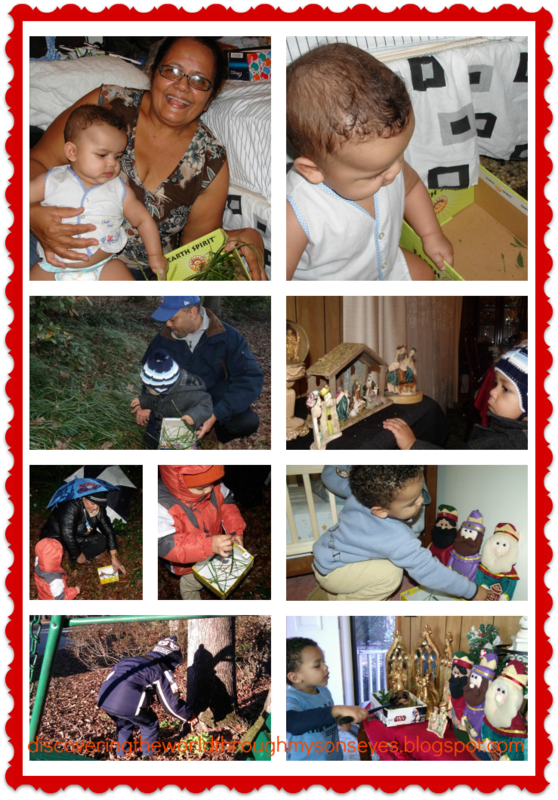 With that being said, what better way than to have our son celebrate his first Three Kings Day in Puerto Rico! 2009 (top picture) Since he was too small “Abuela” cut the grass for him! He was quite baffled, and wondering where the grass had gone? Back home in South Carolina we’re keeping the tradition going. Though it’s not a holiday here, we keep up all of our Christmas decorations, tree, and of course, a small display of the stable with three kings figurines until January 6. 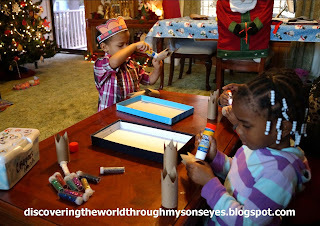 Christmas in our home goes on until Three Kings Day! In maintaining this tradition I nurture our child’s Puerto Rican culture, and heritage. One that can be easily forgotten especially when we’re away from Puerto Rico. Here in the U.S.A, Daddy is very much part of this tradition embracing it, and celebrating it with us. When little one was younger he would go out with him to cut grass. Rain, shine or freezing cold weather won’t stop us from getting some green leaves anywhere in our backyard. As our child has gotten older, he’s also started to decorate his own shoe boxes, and gets his own grass. We’ve shared this beautiful tradition with his friends decorating boxes, and reading books about Los Tres Reyes Magos, and our first cultural playdate was a success! Even if we’re living in South Carolina, USA I want our son to have the best of both worlds. He will leave cookies and milk for Santa Claus, and magic reindeer food for the reindeer (American tradition), but he’ll also leave some grass for the Three King’s camels (Puerto Rican tradition). He gets double the gifts and treats; and we continue to embrace our culturally diverse familia’s traditions! What traditions do you celebrate that aren’t necessarily celebrated where you live? I would love to know! Please share and/or comment!